Collected by Miss Lillian probably for the simple beauty of the picture, this postcard is title "The Old Clock on the Stairs" and features the art of W. L. Taylor. 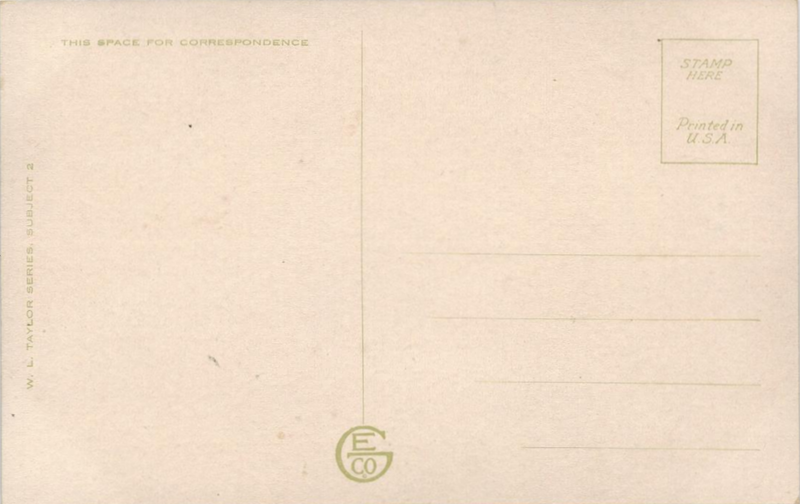 The artwork has a copyright of 1903 and is identified on the address side of the postcard as "W. L. Taylor Series, Subject 2". 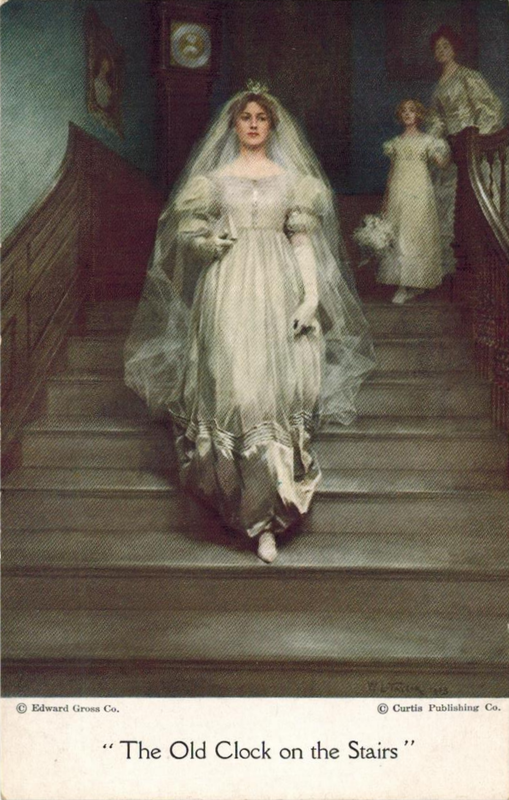 The title seems rather secondary (yes, there is a clock on the staircase), since the bride is clearly the object of the painting. But search for this artist on the Internet, and you will learn that he was a very popular artist of this era, and that this painting was popularly paired with a poem ("The Old Clock on the Stairs" ) by Henry Wadsworth Longfellow. This particular painting was most likely part of a series the artist painted for The Ladies' Home Journal that were paired with poetry. Such interesting history! As stated in an biography of W. L. Taylor, postcards and prints of his work, as well as full-color reproductions carefully torn from the pages of the Journal, adorned homes throughout the country and throughout the world. Since it lacks a message, we can assume that Lillian either purchased this for herself or someone gave it to her. I would have collected this postcard too. It is such a beautiful picture. :) You have such excellent taste!